When writing a buyers guide for the best gas smoker, I think it’s wise to explain right from the get-go what it is exactly you can expect from said gas smoker if you were to go ahead and buy one. They say that you decide whether you are into someone within seconds of meeting them. I truly believe, that you instantly know which smoker is the right one for you as soon as you realize the quirks of each type. Sure, we may still spend a few days doing some kind of due diligence and thoroughly researching each kind of smoker. But in the end, deep down, we pretty much go with our initial gut feelings. 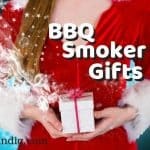 1 Should I Buy a Gas Smoker? 9 How Does a Gas Smoker Work? Should I Buy a Gas Smoker? So, enough of the faffing about. 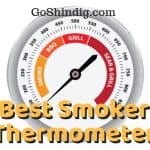 Let’s see if I can awaken your inner desires and hopefully get you continuing to read about how to pick the best gas smoker. SET IT AND FORGET IT,(boom, drops mic). Still here? Well, that’s extremely promising! Yes, the set it and forget it property which is by far the standout feature of gas smokers is why you should buy one. If you absolutely love your smoked ribs, chicken or pork etc, but you’re not that confident, or knowledgeable in using charcoal or wood smokers, or you simply don’t have the time to babysit your meat through the smoking period, then the best gas smokers are the perfect solution for you. The set it and forget it is, of course, a superb feature. But it is not the only reason to buy a gas smoker. They offer a little bit of everything and are often referred to as the ultimate compromise smoker. The best gas smoker will feature a little bit of what sets all the alternatives apart from each other and bundle them all into one neat package. The result is a smoker, which although will not be winning you any national competitions, will give you an authentic tasting meal at a hugely affordable price. You can look forward therefore to a compact, portable smoker like you will get with electric smokers, an authentic smoking experience such as you find with wood or charcoal smokers and a great set it and forget it experience like pellet smokers offer. What this leads to is a grilling experience which is suitable for novices and experienced Pit Masters alike. The cook itself is considerably shorter than with other smokers. A realistic time is around 2 hours, and is completely hassle-free as you can regulate the temperature. This means there’s no constant checking of your meat’s progress. Push button ignition – Do you find it difficult to start your traditional BBQ? 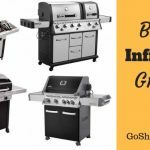 You could check out our article on the best BBQ fire lighters or you can just purchase a gas smoker which comes with a simple push-button ignition. One second of effort for a full-blown fire and you are literally cooking on gas. Quicker desired temperature – What you will find with a gas smoker is that it will get up to temperature a lot quicker than you would with alternatives such as the charcoal and wood smokers. This cuts down on your overall cook time and will have you filling your faces with your beautifully smoked meats sooner than normal. Better temperature regulation – Getting your smoker up to temperature is one thing – keeping it there is another thing entirely. Even the best Pit Masters find trying to keep their coal or wood at an even keel a challenge. But much like your kitchen oven, the gas smoker just needs you to set the temperature once and there it will stay until you so desire. Easy on your pocket – Smokers, in general, are pretty expensive and not the sort of thing you want to invest in unless you are ready to put a lot of man hours into learning all the little intricacies. The best gas smoker will allow the casual BBQer to get in on the action with a price point that makes it accessible to all. Requires less maintenance – Gas smokers are relatively simple pieces of equipment meaning there is a lot less that can go wrong with them. Because there is no charcoal or big blocks of wood, it also means upkeep is minimal as soot deposits are not so prevalent. 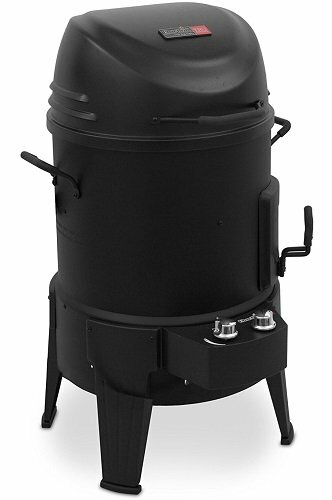 Portability – If needs be, you could take a gas smoker pretty much anywhere you want. They are much smaller in comparison to most of the alternatives which means A/ you can set it up almost anywhere as space is not an issue, and B/ they are relatively easy to transport. This opens up taking it on camping trips or lending it to friends, all with the minimum of fuss. Taste – No matter how you dress it up, the best tasting BBQ comes from burning wood or charcoal. Whilst it can be difficult to decipher to the untrained palate, there are slight differences in taste when cooking with gas. Cooking area – Being portable is all well and good but this does lead to some obvious drawbacks. The main one is that you simply won’t have the same surface area that you will have with the bigger smokers. Not a problem if you have a few chickens and some cuts of belly pork. But if you’re planning a feast for friends and family that involves a large brisket or a full rack of ribs then you will most likely end up being disappointed. Gas bottles – A much heavier solution than a bag of briquettes, using gas bottles can also require some forward planning. Whilst the best gas smoker money can buy will look good and function perfectly, it is still reliant on its fuel source. Unfortunately, if you start the cook on a previously used gas bottle, chances are it will need changing out at some point for a full one. Build quality – Gas smokers are usually at a price point that in general makes them accessible to the masses. There is a pay off associated with this, however. The materials used will not be as quality as the more expensive smokers, like kamado smokers. This shouldn’t come as a surprise to any of us. But it is worth keeping in mind as the metals used will be thinner and more prone to bumps and bruises. 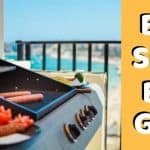 Accessories – Again, because of the price that you can buy a gas smoker for, the accessories that you tend to receive, if any, are probably not up to scratch. I would recommend at the least investing in a good quality outdoor thermometer and a BBQ cover that will keep it protected when not in use. 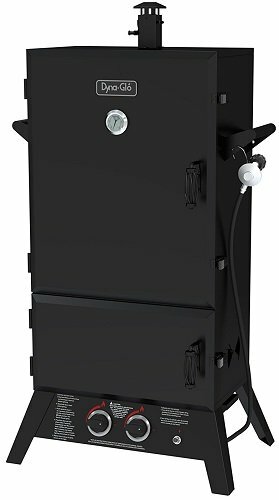 The Masterbuilt GS30D 2 door smoker is what we consider to be the best gas smoker you can buy. And there are several reasons for this conclusion. Firstly, Masterbuilt is a hugely respected company who specialize in quality outdoor cooking equipment. Starting in 1973, they have since strived to create innovative products that consistently push the boundaries within the industry. In short, they are just a massive, well-respected brand whose name all but guarantees the quality of their product. Price was also a deciding factor in naming the Masterbuilt propane smoker our top choice. Whilst the 44-inch model is certainly aesthetically more pleasing with its clear glass door, we feel that at a price point that is two and a half times more expensive than the 30 incher, it doesn’t quite justify the outlay. With the GS30D, even though you can’t see the progress of the cook, there is no real need to. This is a set it and forget it piece of equipment let us not forget. And sure, there is more space in the larger unit. But even at 30 inches, there is ample room to cook up a hearty meal. This is not to put you off the 44-incher (I would personally not even entertain the 40-inch option due to the lack of double doors), and as I always maintain, you should always spend as much as you initially can to get the best smoker you possibly can. but I could only recommend it if you are thinking about larger cooks for a party of people. The Masterbuilt GS30D propane smoker, as you can see in the above video, holds more than enough food. Whether it’s a small gathering of friends or family, the 4 chrome racks offer plenty of space. At the end of the day, you end up with 717 square inches of cooking space. In fact, everywhere you look there is a sense of quality craftsmanship. The igniter is excellent and fires first time, every time. The wood chip tray is porcelain coated, the burner is stainless steel and the cool touch wire handles do an excellent job of protecting you from the searing heat of the unit leaving you to not require any BBQ gloves. One of the better features that we love is the inclusion of the air damper. This is basically an added control should you so require. It allows you to regulate the amount of smoke that circulates within your unit. It’s a small thing and it does negate the set it and forget it ethos a little. But it’s a cool little gadget to have if that’s the kind of thing that floats your boat. The Masterbuilt vertical propane smoker isn’t perfect. The drip tray might be too small for some and there are a few niggly gripes that crop up now and again such as leakage from the seals. But I must stress that this is an awesome piece of equipment at a great price. And with a little search on relevant forums such as smokingmeatforums, the vast majority of these imperfections can be amended with easy to do modifications. 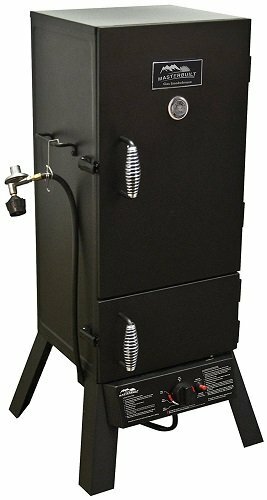 The smoke Hollow 38 inch 2 door vertical propane smoker comes in at number 2 in our best gas smoker list. This, as we will allude to a little later, is mainly down to its set it and forget it properties in which it excels. Smoke Hollow is a well-established name in the industry since 2005 where they were created by their parent company, Outdoor Leisure. They were so successful in fact, that in 2017 they were acquired by Masterbuilt. Having 2 giants of the industry can only mean good things for us the consumer. And so it proves with this 38-inch propane smoker. Granted, Masterbuilt hasn’t had any input into the design of this particular model. But they do offer customer support that is second to none. At first glance, it’s easy to confuse the Smoke Hollow propane smoker for the Masterbuilt alternative. They are visually similar with the awesome 2 door design and cool touch wire handles. This is also true of many other vertical propane smokers as there’s not too much in the way of design that you could expand upon in this category. However, when you open the top door of the smoke Hollow you will definitely see some differences. The first thing you notice is that the Wood chip box and the water pan are both fairly large. This is significant for a couple of reasons. With larger accessories, there is obviously more scope to fill them with bigger quantities of wood chips or water. This helps enormously with the set it and forget it principles that I said made this particular smoker such a viable choice. Instead of replacing wood chips every few hours, now you should have enough space to get you through everything but the largest of cooks. The same is true of the water tray. With typical low smoking heats, you should easily be able to get through 5 hours worth of cooking. For those of us who embrace our time spent away from the preparation of our food but still yearn for the beautiful smoky tones given off by the best vertical propane smokers then the larger pans and boxes are a must. You can also say the same about fuel consumption. Not having to change the propane tank is something not everyone can boast when using a gas smoker. But with the Smoke Hollow, you can cook much, much longer than on other smokers. The fuel efficiency is extremely impressive and that, alongside the larger accessories on offer is why we rate this smoker so highly. The Smoke Hollow comes with four removable chrome plated grills which you can adjust. It also produces 20,000 BTUs which is a lot when you think about it. Certainly far too powerful in normal conditions. But probably ideal for winter cooking where achieving and maintaining cooking temperatures is more difficult. To top things off the smoker comes with a sausage hanger which is a nice added extra. What we love about the Camp Chef 24 inch smoker far outweighs the one obvious flaw that we normally can’t abide. Even though the Camp Chef is a single door unit, we absolutely love the fact that it is set up so that you can easily convert it into a natural gas smoker. For this detail alone, the Smoke Vault is probably the best gas smoker with a single door on the market at the moment. The ability to convert your propane gas smoker into a natural gas smoker has always been there for those who don’t mind a bit of modification work but by purchasing the natural gas conversion kit, almost all of the guesswork is taken out of the equation. So, should you use a natural gas smoker? The one massive advantage of using a natural gas smoker is that the fuel supply is virtually endless. 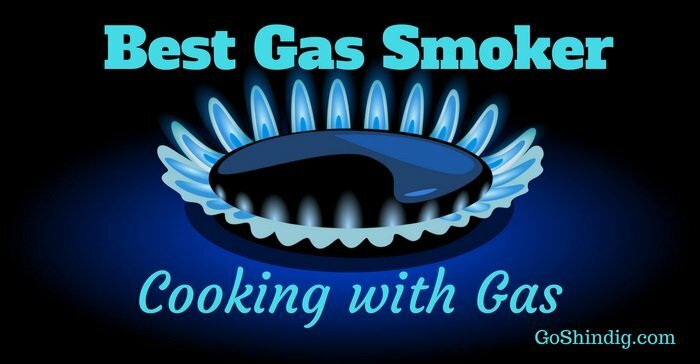 Even though gas smokers are the perfect solution for shorter cooks, if you ever needed a longer smoke then using natural gas from your home supply is the perfect solution. Babysitting your cook through the early morning hours is not everyone’s idea of a good time! Even if you don’t want to go down the natural gas route, the Smoke Vault is still an awesome propane smoker. We found the temperature gauge to be one of the best that we have come across. Accurately depicting the interior heat in the smoker. We also loved the fact that there are three adjustable damper valves. There’s one on each side of the smoker and one on top. 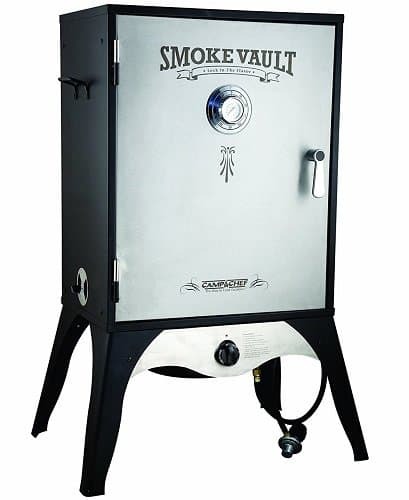 The Smoke Vault comes with two adjustable smoking racks and a jerky smoking rack which sits at the top. The accessories are of good quality with the wood chip tray made from heavy-gauge steel and the drip tray made from porcelain. 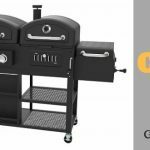 The Dyna-Glo 43 inch wide body propane gas smoker makes our list of the best gas smoker as we really appreciate the size and quality of this piece of equipment. It’s by far the largest gas smoker in our selections. It measures in at a height of 57 inches, and upon first glance just seems an almightily sturdy unit. Temperature regulation is possibly the number one quality to look for when you buy a gas smoker and it’s something that can be very hit or miss with many of the brand names available today. The Dyna-Glo is probably the best gas smoker for holding temperatures that we have seen. It comes with pre-installed door seals which, although are not unique within the industry, actually work as advertised. But it’s the sheer size of the Dyna-Glo that we love the most – it really is a sight to behold. It stands tall as a tower on your patio and has some quality accessories within to show that it is not a case of all bark and no bite. It features the double door function that we feel is a must when buying a gas smoker. When opening the main door, six height-adjustable cooking grates greet you which allows for a total cooking space of just over 1900 square inches. There’s even a removable rib rack and a sausage hanger included which only increases the cooking options for you. The working parts are all made of quality materials, as you will find on all our picks in this list. This means that the wood chip box consists of heavy gauge porcelain enamel steel. The burners (yes plural) are cast iron. Speaking of the burners (yes plural), these are obviously dual burners. Capable of delivering 20,000 BTUs which will get you smoking in even the colder months of the year. Total cooking area: 1,904 sq. in. Char-Broil, as I’m sure you’re all well aware, is another giant name in the grilling community. What you might not know is that they are at the forefront of TRU Infrared technology. Without getting too technical, this replaces the convective heat normally found in gas smokers with infrared heat. This has some huge potential benefits. What this essentially means is that The Big Easy is the best gas smoker for beginners. The introduction of the infrared heat source means that it distributes evenly across your food. This eliminates flare-ups, heat spots and preventing it from drying out. This can be particularly useful for amateur smokers. It eliminates any and all guesswork when it comes to meat placement and general timing issues that many of us come across. The Char-Broil big easy features high-quality stainless steel and comes with stainless steel accessories. What you will notice with this unit is that although the use of wood chips create the smoke, there is no sign of a drip tray or any air dampers. This is a direct result of the technology in use and results in a lot of cleaner cooking experience. All in all, whilst not being a proper propane smoker, the Char-Broil Big Easy offers an uncomplicated smoking experience for beginners, intermediary and experienced grillers alike. The multifunctional properties it possesses might not be to everyone’s tastes. But it does offer the buyer a lot more versatility when it comes to their cooking options. On the whole, the best gas smokers are very similar to each other in terms of style and function. The question of how to use a gas smoker is a relatively straightforward one. Style wise they look very similar to a miniature wardrobe or cabinet. This is the name vertical gas smokers or even vertical propane smokers comes from. Because of this shape, smoke aerates throughout the unit, which gives off a uniform flavor. Function wise you will typically find a burner at the bottom of the cabinet. This of course will have an attachment to the gas bottle. The gas used is almost always propane, which although is known as a fuel which produces clean emissions whilst used in cooking, can impart a slight taste on your food, most reminiscent of bacon – so not all bad. There is a pan located above the burner which allows you to produce the beautiful smoky tones that gas smokers give to you for a fraction of the price of their more established counterparts. Here you can use smoke wood or chips, that will impart all your favorite flavors. You will find a section for a water pan. The best gas smoker will have a separate opening, especially for this pan. The benefit of this is that if you need to refill it, you will not be letting out all the precious heat when opening the hatch. Lastly, you will notice the venting system. A good venting system will regulate the temperature in your gas smoker and keep cooking conditions at an optimum. The best gas smoker is always going to be a very subjective thing. As is normal when assessing what to look for before purchasing something, knowing exactly what you want to get out of it is paramount. What is important to you might not be so to someone else. So have a clear idea of what you need and what you don’t. Below are some things that you might want to take into consideration. Price – It invariably almost always comes down to this. The advice for anything, and especially the best gas smoker, is to get the best one that fits your budget. It’s a bit crass but the more money you can afford up front, the better overall smoker you will get. Double doors – If you want to use your gas smoker for longer cooks then the water pan will need topping up. Single door gas smokers will not be the best solution in this case as when refilling the pan. All the heat will escape, thus affecting the cooking time. Two-door gas smokers separate the water pan from the rest of the unit and keep your food at optimum temperatures. Of course, for the shorter cooks, single door gas smokers are fine. Size – This is not necessarily a direct link to price so I’ll mention it separately. Buying a large gas smoker will let you fit more produce inside it. If you plan to cook larger cuts of meat then you should be looking to get the bigger models. Ease of use – One of the main advantages of the best gas smoker is that they are very user-friendly. You can find ones that are all singing and dancing. If you are not going to use many of the gadgets included then they will just end up being redundant. Maintenance – Gas smokers are in general easy to maintain and clean but some make even this easy task, well…easier. 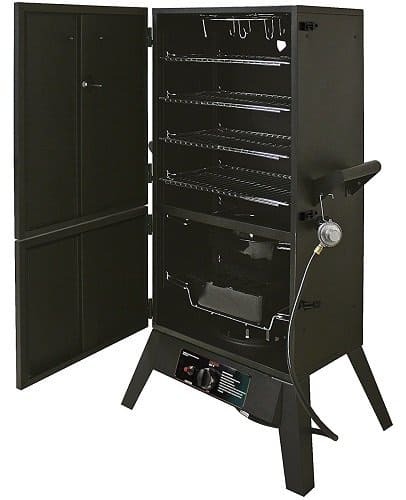 A gas smoker with removable racks will make your life that little bit simpler. As will features such as non-stick materials. Fittings – Checking that all the seals are snug and tight and that the doors align properly with the unit when shut will ensure that you will not lose precious heat.